Canada’s largest-ever cannabis deal is all but done, but the battle that led up to its eventual negotiated conclusion will have long-lasting impacts on hostile takeover bids in all industries. The biggest fallout from Aurora Cannabis Inc.’s bid for CanniMed Therapeutics Inc. could be an end to the shareholder rights plans adopted on the fly by companies trying to fend off unsolicited offers − known as tactical poison pills. Regulators with the Financial and Consumer Affairs Authority of Saskatchewan (FCAA) and Ontario Securities Commission quashed CanniMed’s poison pill in December, but did not release the reasons for its decision until earlier this month. A cultivator at Aurora Cannabis holds leaves at an operation near Cremona, Alta. Legal experts are taking note of comments that show the regulators’ distaste for hastily adopted rights plans that fly in the face of Canadian takeover rules that were rejigged in 2016. The new regime lengthened the time a bid must be open to 105 days and established a 50-per-cent minimum share tender requirement. Before CanniMed agreed in January to Aurora’s sweetened, $1.1-billion offer, the two sides scrapped publicly over several issues. Not least was CanniMed’s attempt to install the poison pill after Aurora launched its initial hostile bid. The rights plans were developed to lengthen the time a target firm had to find alternative offers, while also holding out the risk that the takeover could get more expensive. This was a messy deal to begin with. CanniMed, a medical marijuana producer, had discussed its own takeover of Newstrike Resources Ltd. as a springboard into the coming legal cannabis world. Some of CanniMed’s major shareholders, who had representatives on the board, disagreed with the strategy. The major holders committed their shares to the unsolicited bid from Aurora, which was conditional on CanniMed scrapping its deal with Newstrike, the marijuana producer backed by Canadian rockers the Tragically Hip. 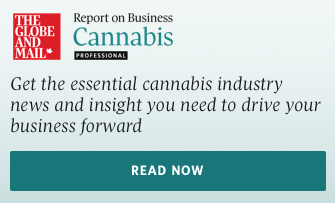 CanniMed’s poison pill prevented Aurora from locking up additional support of the target's investors – beyond the 36 per cent it had already won – and barred Aurora from buying any more shares of CanniMed. Aurora took its case to the regulators, asking them to disallow the plan and in December, they did. This month, the commissions explained why. The OSC and FCAA said they were wary of rights plans aimed at preventing lock-ups and permitted market purchases by bidders, fearing that they could make the takeover bid regime less predictable and unsolicited transactions more difficult, to the detriment of shareholders who could miss out on higher value. “It will be a rare case in which a tactical plan will be permitted to interfere with established features of the take-over bid regime such as the opportunity for bidders and shareholders to make decisions in their own interests regarding whether to tender to a bid by entering into lock-up agreements of the kind under consideration in this case,” the regulators said in the reasons for their decision. It is not expected the decision will discourage shareholder-approved rights plans that are implemented to prevent third-parties from gaining control positions through creeping takeovers −gradual amassing of large share positions. The decision does not specifically make tactical rights plans obsolete, but it raises big questions about their future use, said Jeremy Fraiberg, a mergers & acquisitions lawyer with Osler, Hoskin & Harcourt LLP. One outcome may be reduced protection for boards of target firms looking to extract better offers from would-be white knights. Indeed, poison pills have prevented bidders from acquiring up to 5-per-cent more shares when the purchases would bring the total locked-up stock above 20 per cent of the total, as that would make it harder for a rival to win enough support for a potentially higher offer, he said. “Some people might find that counterintuitive and surprising,” Mr. Fraiberg said. Aurora’s takeover of CanniMed has already been approved by shareholders and the company had said remaining shareholders had until midnight on Sunday to tender.